Thank you so very much to Jennifer at AnotherJennifer for writing this page and allowing me to modify it to my own needs! Honestly, I was very surprised when I was approached by Crystal Ponti – the blogger behind Mommifried – to be a contributor to an anthology she was putting together. I was honored and a little nervous. Honored because what writer doesn’t want to published in a book with other talented writers? Nervous because I’d have to write my own personal story about my worst meltdown as a mother. In the real world, we’re not supposed to admit our weaknesses as mothers. What would people think of me if I admitted my worst stories of motherhood? Would my family have me committed and try to take away my children? Or worse, what happens when ten years down the road, my kids pick the book up and are furious that I told such stories for the world to read? I thought long and hard… oh sure, I have stories about my devil persona (you know that growly, deep, roar when you are REALLY mad??) and locking myself in the bathroom so that I could have 3 minutes of peace. I’ve got some stories. But… another thought came to mind. Here is another opportunity to shed some more awareness on Twin to Twin Transfusion Syndrome (TTTS) and honor my sweet Kathryn. And it is true, I did have a meltdown in the hospital. So, that is what I went with. And you know what, it worked. Crystal noted the lack of books out there that show real stories of motherhood. In between chasing around my three little monsters precious children, I wrote and I wrote and I poured my heart out. My neighbor invited me to try the local Mom’s Club. She said it would help me by providing get-togethers and outings for the kids, and I would have some adult support. The next event was a park play date so I decided to give it a try. Unfortunately, my first full week as a stay at home mom was Spring Break. That meant that the mom’s came to the park in force and brought all of their children. The older boys found their fun in teasing the younger ones, taking away their toys, and chasing them around the playground. My three year old son spent most of the time screaming and crying because the big boys kept taking away his toys and tormenting him. The fifteen month old spent her time running all over the playground. She would find ways to climb up into places that made me nervous and I tried to keep up with her. There was no time for chatting with the other mothers or relaxing. Where was the motherly support and sipping cups of coffee over conversation while our children played together? While consoling my son for the fiftieth time, I looked up to find my daughter standing on the edge of a platform that was much too high for a toddler. As I darted over to get her, I did not look up before climbing to the platform and banged my forehead on the metal monkey bars. Ouch. Mega ouch. My story is called “Slow Burn.” You’ll have to buy the book, The Mother of all Meltdowns, to find out what happened and why I chose the title. After I submitted my story I really fretted because it was supposed to be a funny book, and well, not all parts of my story are so funny. But Crystal assured me it was exactly what she was looking for, I had the chance to read the stories of my co-authors. I was blown away because the stories in the book were honest, real, emotional and relatable. I laughed, cried, cringed and felt infinitely better about being a mother. You don’t know me but I’m a blogger and currently reading Mother of All Meltdowns. I’m on a flight and I was about to have a meltdown of my own reading your story. I’m also a twin mom. I have identical twin boys who were born healthy and I cannot imagine going through what you did. A very good friend of mine who had twins about 7 years before I did, went through a very similar situation. I actually blogged about her incredible story of dealing with TTTS and reading yours just brought back all those emotions. I’m pretty sure the guy sitting next to me thinks I’m clinically depressed or insane since I’ve been either laughing or crying throughout the book! I responded to an email sent out by Crystal Ponti to read and review MOAM in exchange for a free copy. I just had to email you to let you know how much your story moved me. You’re an amazing and strong woman for overcoming such unfathomable loss. Thank you for writing this story as it’s SO important for it to be shared and told! 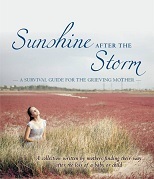 The book is an honest look at motherhood from thirty different perspectives. 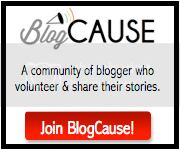 If you read blogs on a regular basis, chances are that you are familiar with several of the book’s contributors. I’m honored to be a part of this amazing group of writers. While we may be divulging our worst moments as mothers, in the end, you’ll see that we’re all human and that our true love for our kids rises above everything else. 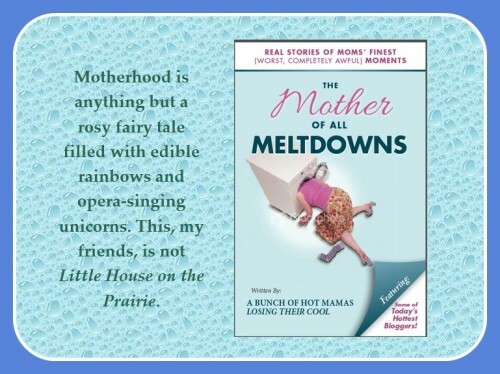 The Mother of all Meltdowns is currently available for download and in print from Amazon. You can also order it at your neighborhood bookstore (always good to support locally owned stores!) and it will soon hit the virtual shelves of Barnes & Noble (for Nook). If you buy the book, we would love for you to give it a review on Amazon as well. Reading the book will make you think of all the meltdowns you’ve had (and it’ll get easier to admit to those meltdowns), so you might want to join us on social media for some free therapy! Do you have a good meltdown story? Coming Soon: The Mother of All Meltdowns-Shout! Shout! Knock Yourself Out! I’m in a book – YES, a real book! The Mother of All Meltdowns – NOW AVAILABLE!